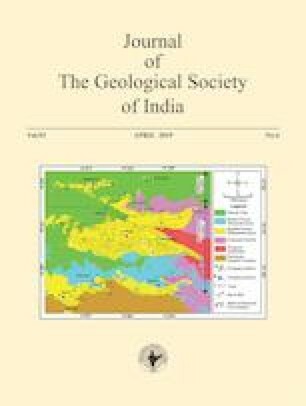 The youngest coal seam of the Raniganj Formation of upper Permian age has been critically examined for microfloral assemblages near to the continental P/T boundary of India. The study reveals a rich and diversified microfloral assemblages and it tentatively corresponds with long distances homotaxial beds of SE Turkey, Australia and Antarctica. Based on the microfloral assemblages, the dark shale occurring at the youngest coal seam of the Raniganj Formation tentatively assigns a Wordian to Capitanian (260–265Ma) age. Some of the forms such as Striatoabieites multistriatus, Protohaploxipinus sp., Striatopodocarpites fusus, Striatopodocorpites cancellatus, Praecolpatites sinuosus, Plicatipollenites gondwanensis have a wide range of distributions from low to high palaeo-latitudinal Gondwanan provinces. This attributes that these forms probably were not climate dependent, but other might vaguely be ascribed to be climatic sensitive. Apatite Fission Track (AFT) and maturation study based on spore/pollen coloration attributes to the possibility of small amount of liquid hydrocarbon and large commercial gas accumulations in the Raniganj Formation. LNG World News (2011) India: ONGC finds Shale Gas near Durgapur, February 4. https://doi.org/http://www.ingworldnews.com/india-ongc-finds-shale-gas-neardugapur/.